So I am back from my sister's wedding in St. George, UT. This is only the second weekend I have spent away from Lydia, so even though I knew we were going to be crazy busy with the wedding, I wanted to squeeze in a few vacation moments all the same. My first thought was to enjoy the (very long) flight over to Vegas. No child in tow...of course it would be enjoyable. I bought a book (Confessions of a Shopaholic) and Shane picked me up a bag of chocolate covered bing cherries. Everything I needed for some "me" time in the air. Unfortunately, I remembered very quickly how much I hate flying. I love (love) traveling. I hate (hate) flying. The combination of motion sickness and claustrophobia make any flight over a couple hours hellish. My first transatlantic flight when I was 17 still holds a place as one of the 5 worst days of my life. By the end of the first leg I was completely nauseated (I couldn't even open the chocolates) and I was already finished with the book. It was a fun read, but for $14 for a paperback, I had really hoped it would last me over 3 hours. I was forced to pick up a few fashion magazines which really is torture to a 7 month pregnant women on a spending freeze. I was also further nauseated as I read over and over again that colored jeans are back. Oh please, can't we learn from any fashion mistakes? Teal jeans are never okay. Somehow we got ourselves up in the morning and headed to St. George. I had no idea how beautiful the desert could be in the springtime. It was comforting to be able to actually see the land stretching before us, instead of being so closed in as the South tends to make you feel. Instead of getting several hotel rooms for my family, my parents rented this amazing house set amongst the red desert rocks. As soon as I saw it I realized that we had made a mistake of making this only a weekend trip. We were so incredibly busy with the wedding, we didn't have time to just relax and enjoy the setting. What is a family vacation without some serious downtime to play cards? The day of the wedding, I woke up before the sun was up and went for a swim in the private pool. It was like bathwater and I watched the sun rise over the desert through the rising steam. My swollen tummy made me unbelievably buoyant, and I almost fell asleep at one point. I could feel the stress washing away in the total silence. One hour of Zen in a new place can be so incredibly invigorating. Congrats Molly and Wayne! Thanks Mom and Dad for a great weekend! 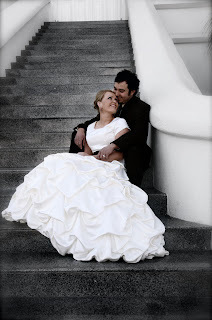 "If I could change something about my wedding...it would be my mother in-law! No explanation needed :)" Awesome. The randomly chosen winner of the Scentsy Giveaway is...bumblebeebags! Congrats! Both winners, please email me and I will get you your prizes. Come back Friday for another giveaway. You and your sister look so similar. How fun is that!? Glad you had some time to yourself. Now, it's baby time. Molly does make a beautiful bride doesn't she. I can't wait to see more pictures. The description of you in that pool made me want to go on vacation sooo badly! Sounds awesome! Sounds like a fun vacay! P.S. 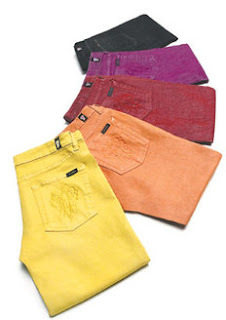 Ugh colored jeans are never ok! I kid you not there was a girl at my work wearing neon yellow the other day!! Ahhhhhhh....the teal skinny jeans WITH the yellow shirt and green cardigan. It was very Easter Eggish! I'm so glad you pointed that out when you did. I was so involved with my Starbucks, I almost missed it. Thanks again for the treat! 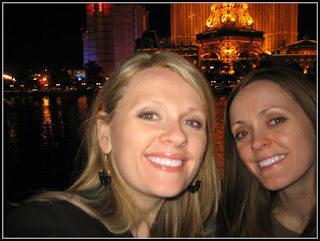 Vegas is on my "must see" list, and it looks like you have photographic evidence of why :0) Visiting you from SITS. Have a wonderful day! This is a wonderful post! 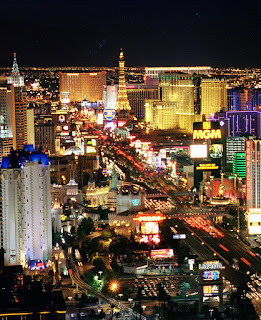 I leave Friday for Vegas with some girlfriends (oh yes! I'm leaving the Hubby and kids behind for the first holiday without them!)...... and I cannot wait! I hate flying too. Actually, I take that back. I don't hate flying. I hate the thought of crashing. Arrived here to offer an official welcome to SiTS!! However, I will be sticking around because your blog has to be hands down one of the most gorgeous I have ever seen. Sounds like a fun vacay! P.S. Ugh colored jeans are never ok! I kid you not there was a girl at my work wearing neon yellow the other day!! Visiting you from SITS. Have a wonderful day! Flashback Friday - "Mommy Watch Me!" My (imaginary) all about me day.